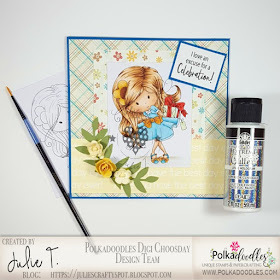 Don't forget to check out all our latest releases in store - we have new Clear Polymer Stamps, Chipboard Fairy Door kits, paper kits and tons and tons of new digis - go check them out! 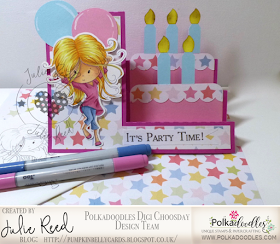 Linda - I have made a twisted easel card this week, using the best party image ever and a sentiment from the Winnie Celebrations 2 collection, with papers from the Winnie Celebrations 1 collection. 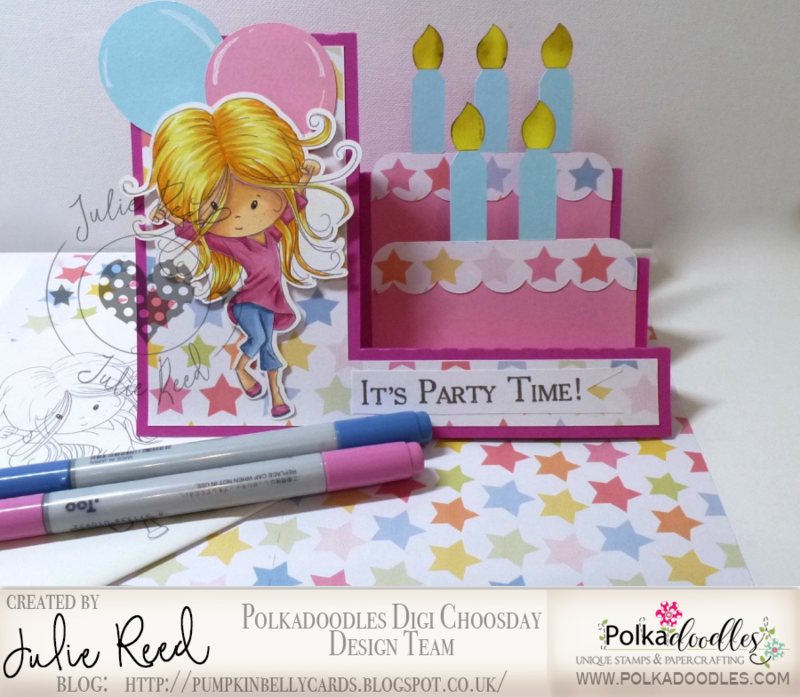 Julie Reed - It's time to celebrate and Winnie loves a party so I have used Papers and an image from Winnie Celebrations 1 to adorn my Birthday cake stepper card. 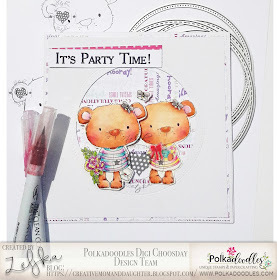 Jane S - I have used Ruby Celebrations with a bonus paper from Little Dudes Superhero and a sentiment from Winnie Celebrations 2. 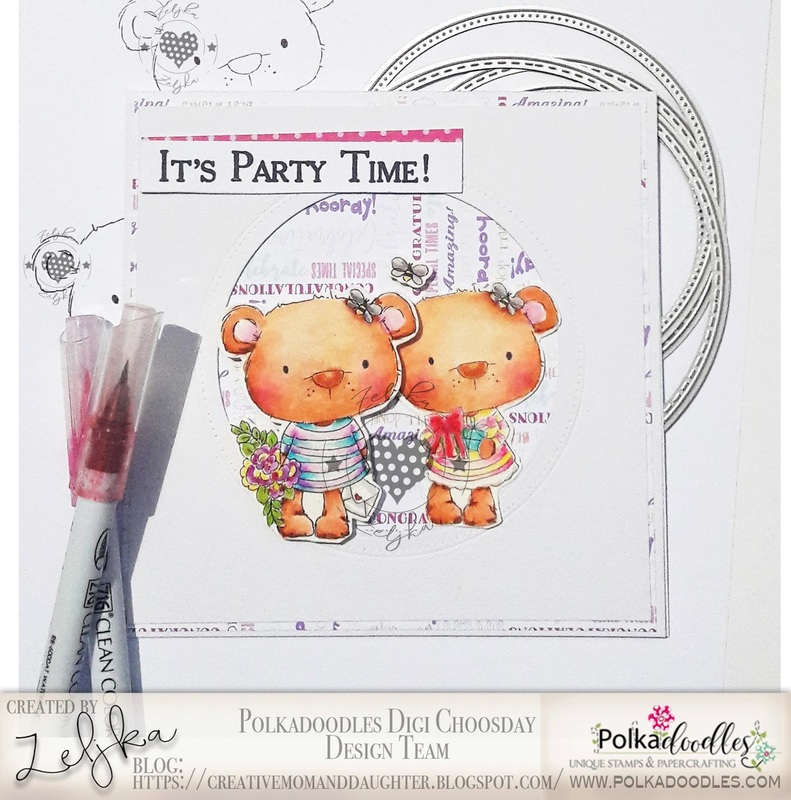 Jennifer - I used One for You from the Winnie Fruit Punch collection as my feature today. 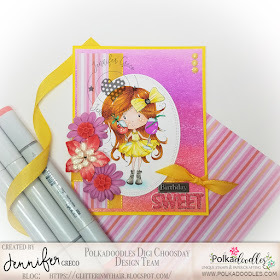 The word art ("Sweet") is from the Winnie Special Moments collection. The striped papers are from a Polkadoodles for LDRS 6x6 collection called "Pretty Perfect" that I picked up at an Expo and have been dying to break into! Andrea I used the fabulous wizard precoloured digi stamp from Polkadoodles plus brick wall paper (thought it looked a bit like Kings Cross Station) from the same Little Dudes bundle and striped paper from the Winnie White Christmas bundle. Please email us HERE quoting DCW25001to claim your prize of 3 digi images from the digi store! Thank you for choosing my card as one of your design team favorites. I am honored. I can't wait to play in Challenge #27! Wonderful Inspirations from the DT. Thank You for your dedication and creativity week after week..